Tsuta first overseas outlet has landed in Singapore! 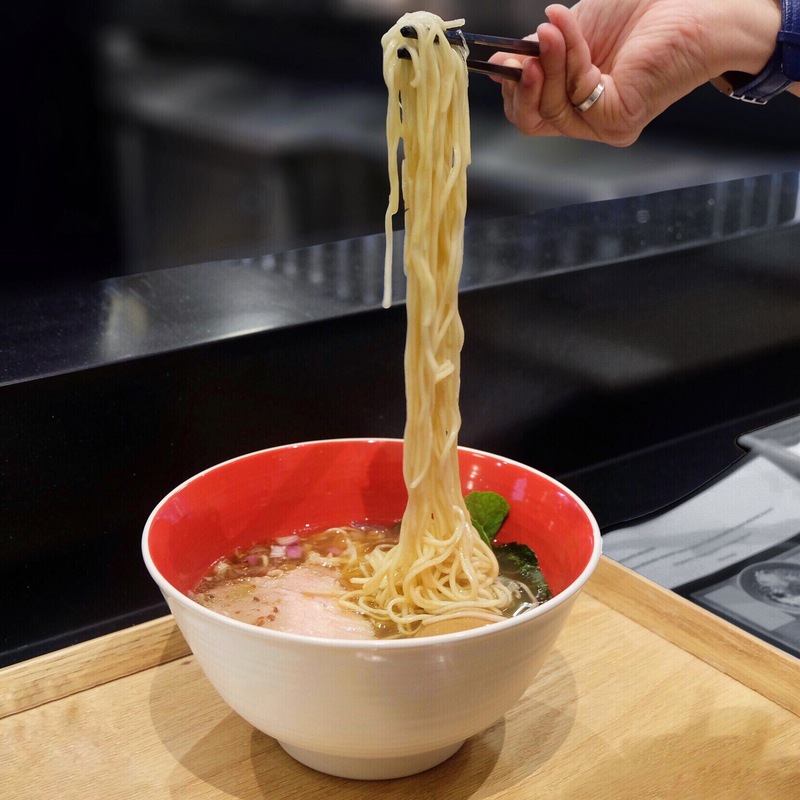 This 18 seater ramen place is the first ramen eatery to win Michelin Star and Chef Onishi make sure that the outlet in Singapore serves the same standard as the one in Japan! From preparation of noodle to the soup base and to the char siu, Chef Onishi only selects quality ingredient to serve us a bowl of good ramen. The soy broth is made with three types of Shoyu, which two are made in-house. Two soup bases are available for now : Shoyu and Shio, while Miso will be available at a later date. The highlight of Shoyu is the piquant black truffle sauce , while for shio is a chicken-seafood blend. Char Siu Ajitama Shoyu/Shio Soba [$22.80] I love the texture of the ramen. Serve with 4mm thick char siu , bamboo shoot, flavoured onsen egg and truffle puree in truffle oil. If you are into heavy flavourful taste, go for the Shoyu (Salty) as Shio has a lighter taste. I won’t say that this is the best ramen ever, but this is definitely worth a first try. Be prepared to queue for at least an hour.